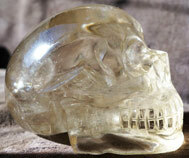 Is it Time to Get Your Own Crystal Skull? teachers offering us very special and profound insights into the world family of crystal skulls!! miracles are occurring and when the crystal skulls will be seeking their true guardians to help create a new crystal skull network. our good friends in Brazil to offer to you a chance to discover the right crystal (quartz) or gemstone skull that is waiting for you. The contemporary skulls are as important as the older crystal skulls in the sense that they prepare you to be able to meet an ancient crystal skull plus they have encoded within "he" or "she" the energies of the modern world. For those who feel an affinity with crystal skulls (especially if you had a past life connection), the contemporary crystal skulls are able to help an individual open up to their spirituality and to mirror back to you who you are and what are you hidden gifts and talents. 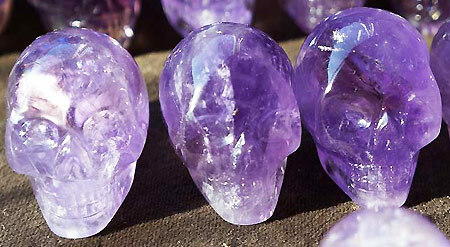 There is magic process to bring your crystal skull alive, a life changing experience. 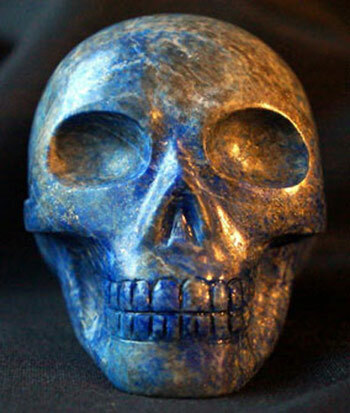 As you begin to work with your new crystal skull, you will help to bring it to life and through the life journey you will have, not only will your learn more about your self but the crystal skull will create new doors of opportunity in your life. Eventually your crystal skull will give you a name and as the crystal awakens, it will become alive and have its own personality including things "he" or "she" likes and dislikes. All of the skulls who are awakened become linked to an etheric crystalline energy network which allows them all to talk to each other and share their knowledge. Eventually you will learn how to have a direct communication with your crystal skull friend and then the true adventure begins. This is a unique experience as the crystal skull consciousness in the world is rapidly awakening. "Being a caretaker of several crystal skulls (including one obsidian skull) who have chosen me as a human guardian has been a life changing experience that continues to be ongoing. I really didn't know that I was going to be gifted with these precious crystal friends. However once I was working with them, I learned that they are living spirits who work within the skull shape of the stone. Not long after receiving my first crystal skull known as "The Guardian" (rose quartz), I found out this was true. The skulls have helped me tremendously to open all the doors in my life as I no longer felt stuck in the so-called real world. And more importantly I learned what is my life purpose. Through my experiences as a crystal skull caretaker, a veil has been lifted and my eyes have been opened to clearly see the true happiness that lies within the facade of the world and what lies beyond the three dimensions of the earthly life." "The crystal skulls have shown me that the key to life is to live in the Now. When I doing this, then I am able to see my future directly in front of me, so close that I can touch it. 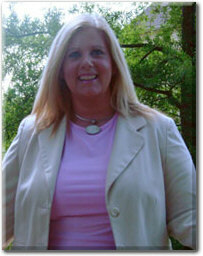 Thus I know, what events will lie ahead of us, which is a key to remember our "Oneness". The skulls are my babies and I absolutely adore them and likewise, my babies adore me back. As you see, I have a special relationship with them. I am so grateful to the universe for bringing into my life these wonderful tools and in which I can also share these special friends with the whole world as well. Woo-Hoo!!" 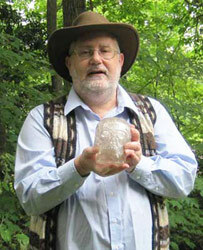 I have found being a crystal skull caretaker a remarkable and rewarding experience. Why is this? Well first of all, we (Katrina and I) have been able to travel all over the world and meet some of the most wonderful, kind and loving people. Next, the adventures our crystal friends take us upon, to exotic places or revealing inner aspects of ourselves is mind blowing and keeps us excited and feeling young all the time. 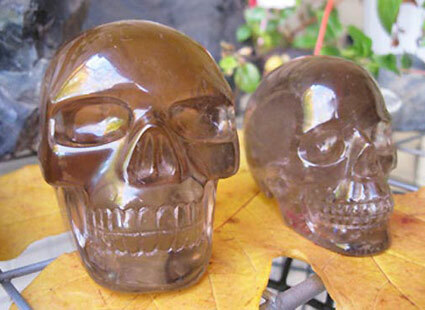 Now do not expect right away that once you obtain a newly made crystal skull that miracles will happen immediately -- but if you respect your new crystal friend, have a consistent contact with "him/her" and carefully listen to their subtle messages and ideas -- your life will never be the same -- its great and amazing. I wouldn't trade these experiences for anything in the world!! 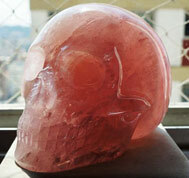 Since 1999, is when my first personal crystal skull "Portal de Luz", came into my life so that is 9 years of pure joy. Plus how would it feel to become part of a larger family of people when we will all one day, in the future, create a day to collectively meditate with our crystal skulls, all together, to help bring a peaceful energy to this world -- wait it will happen. 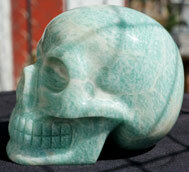 The on-line form shown below will be emailed directly to our Brazilian crystal skull source to provide them with your specific information about the type of crystal skull you are searching for or would like to acquire. This is not an order form but just an initial inquiry. We know that they will be able to help you find the right skull for yourself as they have a very large selection of crystal skulls you can choose from. In addition, ask them how to obtain a copy of the new version of our free e-book, which will include a section from our new book Journeys of the Crystal Skull Explorers that discusses how to work with and awaken your new crystal skull. For this form, related to your initial contact information it is very important to minimally include your name, and a way to contact you (email or phone) plus it helps us also to know the country where you reside. Please check the all the boxes that apply for additional information you wish to receive or to be alerted to (this is related to other news, events and activities about the crystal skulls). "Journeys of the Crystal Skull Explorers"
Add me to "The Unfolding of the Crystal Skulls"